Singer yui has given birth to not only one child, but two. The singer gave birth to twin boys a few days ago. 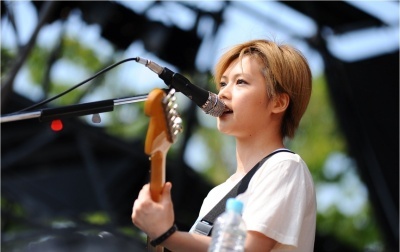 Originally a solo singer, she eventually created and joined the band FLOWER FLOWER in 2013. Back in April, the singer announced she had married a non-celebrity man and they were expecting their first child. Evidently the couple received yet another surprise when it turns out it was twins. According to the agency, the mother and children are in good condition. As of now, there's no mention on yui's plan to resume activities.